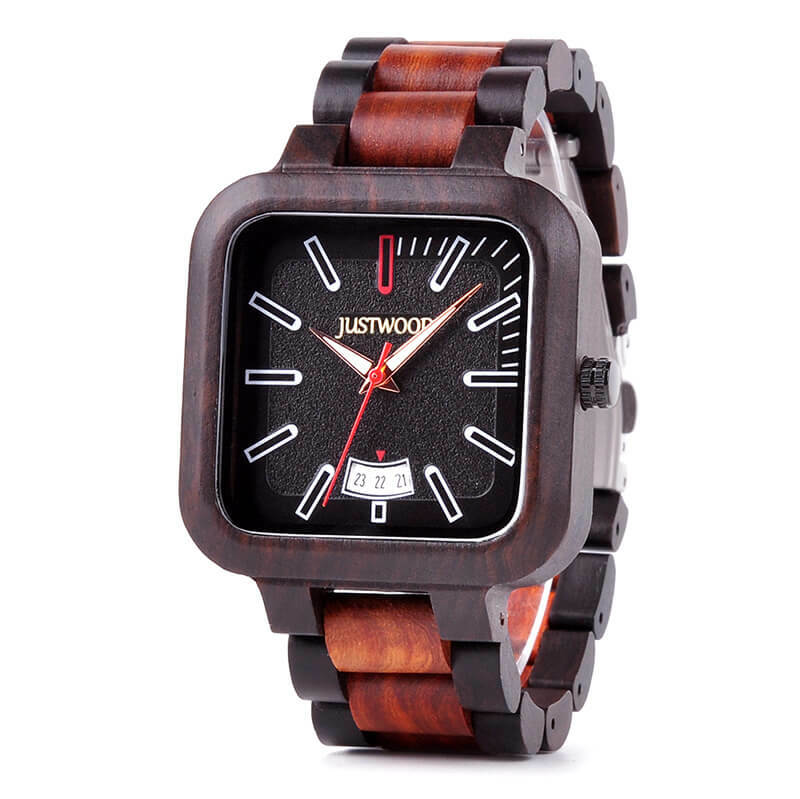 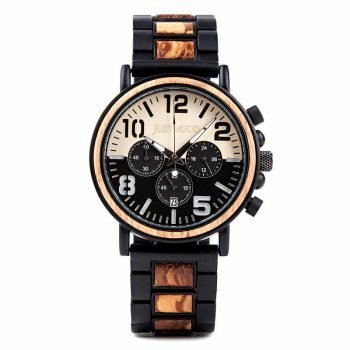 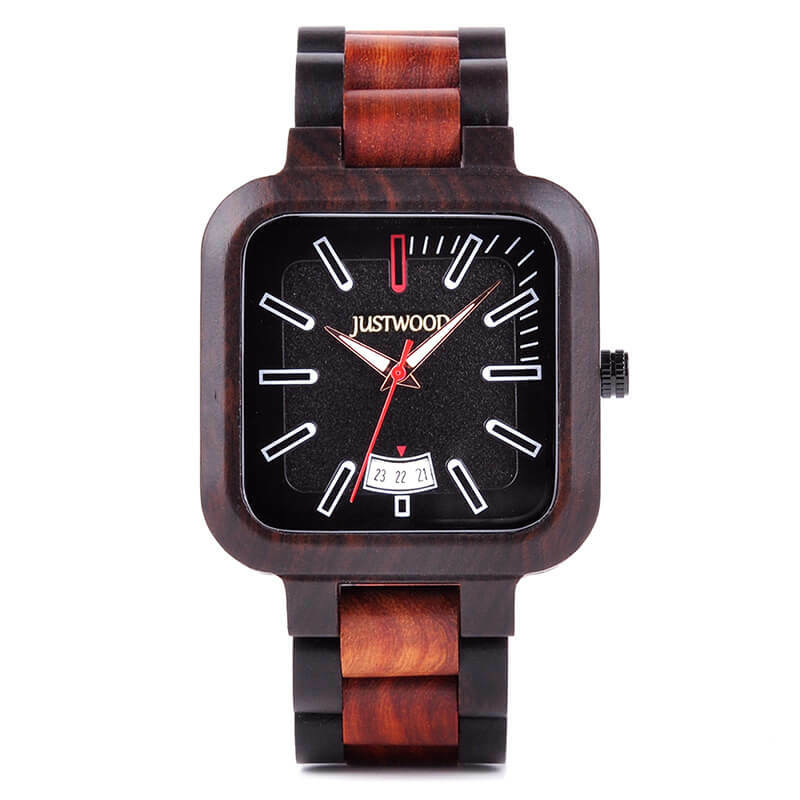 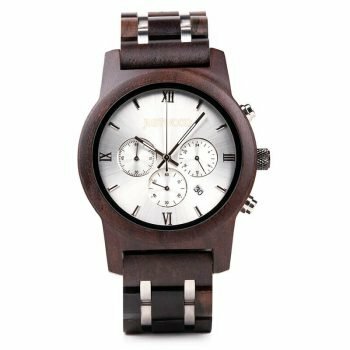 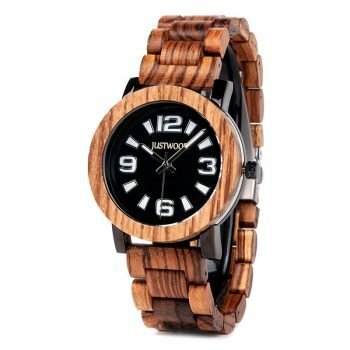 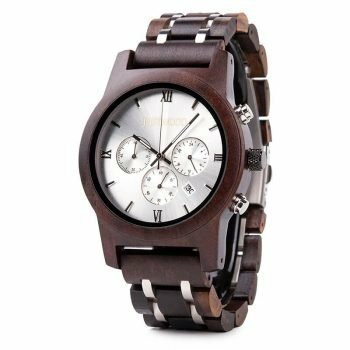 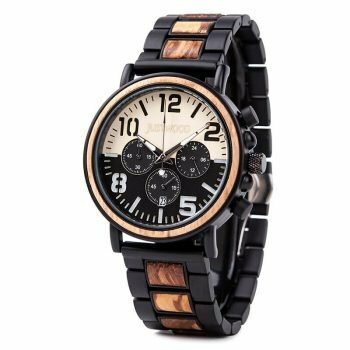 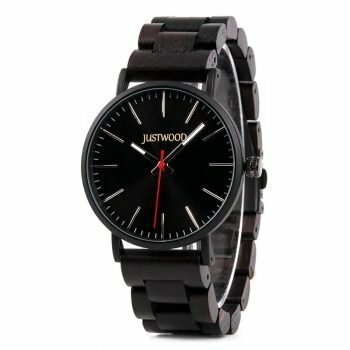 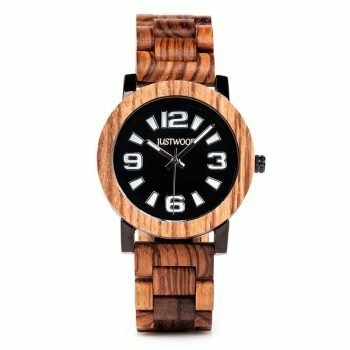 The Fossil Square dial men’s wooden watch is a super stylish square timepiece encompassing a Ebony Wood case with a matching over wooden link band. 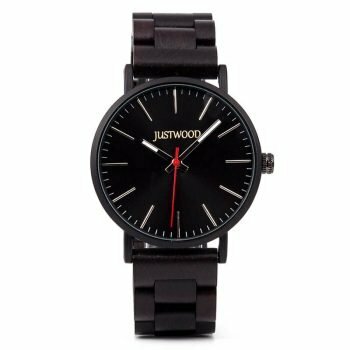 The dial is simplistic and modern with a textured black background with a separate mini dial that displays the date. 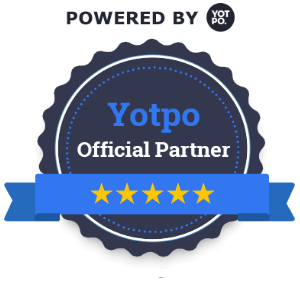 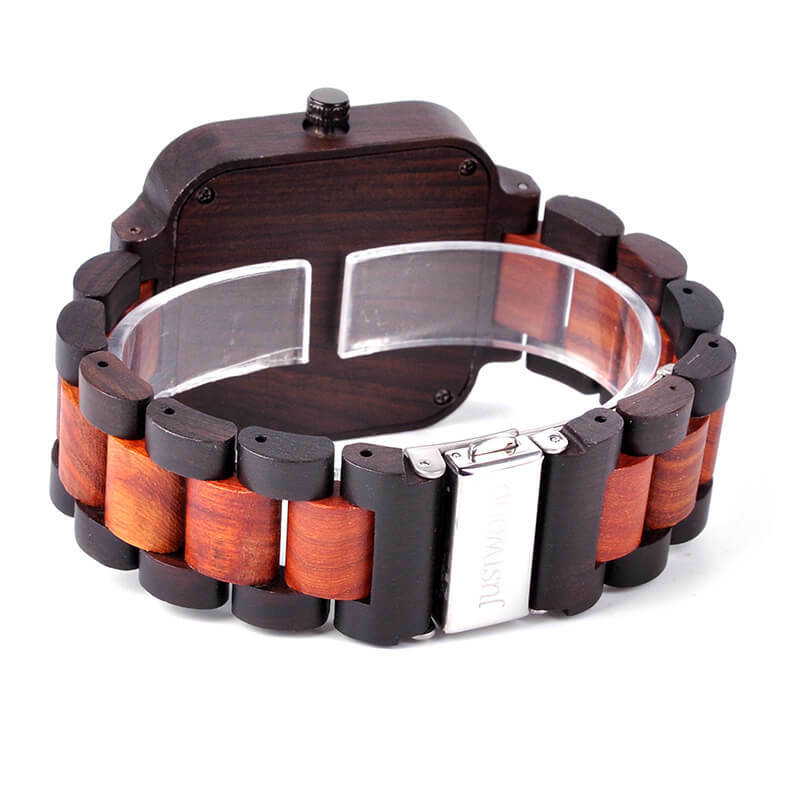 A hypo allergenic folding clasp keeps the band secure around your wrist without spoiling the classy look of the band.